HF Planners manages the complete design of your facility, from site review to installation, walls to wallpaper, electrical outlets to ergonomic chairs. As a strategic partner to your new or existing space, our team considers the best ways to blend art and science to create an atmosphere that is conducive to your business, while optimizing your space and maximizing your employees’ potential. We begin by identifying your unique needs to determine how your space should function, considering everything from technology needs to flow of work. Then, within the parameters of your budget, we create finished spaces that are aesthetically pleasing, functional, engaging, and safe – while managing every aspect and stage of the project. HF Planners’ first-hand experience in facility planning and management and our deep expertise in commercial interior design enable us to understand the challenges you face, while our dedicated project managers keep your project moving forward seamlessly. We also scale to your needs, bringing architects, engineers, and contractors on board when necessary. HF Planners’ work is recognized with the prestigious CID certification from the National Council for Interior Design Qualification (NCIDQ), and the state of New Jersey. 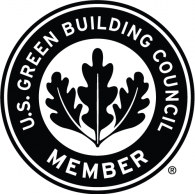 As a U.S. Green Building Council (USGBC) LEED certified firm, we are able to identify unique ways to integrate environmental sensitivity and sustainability into every project. In addition, we proudly partner with value-oriented, stylish, ergonomic office furniture lines, giving us the capability to design and furnish your space effortlessly. Whether you envision a “Google-style” open office for your new space, or updated style and technology in your existing office, HF Planners creates a strategy to utilize your facility to its greatest potential while engaging and inspiring your employees. Contact us to discuss your facility design needs with an experienced member of our team. To explore our full scope of facility Design solutions, click here.